The Bean Counter cannot remember a time when Ann and Jerry, and their boys Nigel and Steve as part of the package deal, were not part of his life. Friends of his parents, they flittered in and out of proceedings on a regular basis: Sunday afternoon visits where the kids were given a glass of store-bought juice, a slice of cake and told to play nicely together outside, return visits spent exploring the wonders of a real-life games room complete with pinball machine. They were the not-negotiable “family friend” guests at the 21st birthday parties and weddings, greeted every new Homestead member with flowers for Mum, chocolates for Dad, and a gift for the siblings who may be feeling the chill of being shunted out of the limelight, and were one of the few Christmas cards the Homestead could count on receiving on a yearly basis. Today we joined with a multitude of other people whose lives have been touched by this dynamic duo and said an official farewell to Jerry. A true gentleman, he always took time to have a quiet word with the new girlfriend who became the wife, the mopey teenager convinced that the world hated them, and the wide eyed youngster who always ended up giggling at whatever it was he said. The world has lost a most honest, gracious being and our hearts are with Ann, Nigel, Steve and their families. 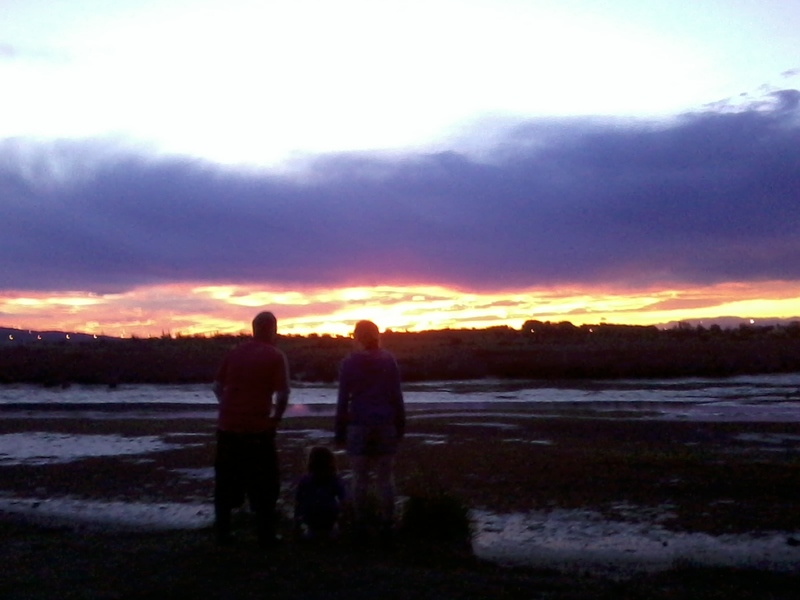 Last night, the sky allowed us Homesteaders to say our own quiet goodbye. Rest easy, Jerry. This entry was posted in Family, Union Homestead and tagged caring, death, funeral, gentleman, honesty, hope, kindness, love, memories, memory, NaBloPoMo, nature, passing, rest easy, saying goodbye, sunset. Bookmark the permalink. The photograph expresses your feelings really well, much sympathy in your loss. Lovely tribute. Sounds to me like the spirit of Jerry will live on through the lifetime of example he has instilled in those around him.